Forget Vegas. Forget New York. London is the ultimate destination for a party. Kate Moss, the Gallagher’s, Johnny Depp and co. put the London party scene on the map back in the 90’s and now the fashionable likes of the Delevignes, Jaggers, Alexa Chung, and international stars are continuing their legacy, with Mossy of course still at its centre. With the ultimate party night, New Year’s Eve, fast approaching, us Londoners can barely contain our excitement. As a city, we celebrate with one of the most impressive, explosive, firework displays in the world. And the fireworks are not the only thing that takes it to next level on the biggest night of the year –we all want a slice of the party-scene. 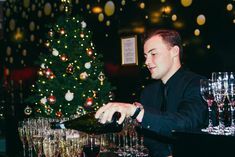 If you are planning on visiting London for New Year’s Eve this year, or if you are already a lucky Londoner, make yours go with a ‘bang!’ by following our ultimate tips for partying like a Londoner! 1. Style Like You Mean It. The party scene in London is hugely populated by the fashion crowd. Saying that, Londoners are known for their eclectic style, so do not panic. Dress to impress. Wear your craziest, most out-there outfit, and enjoy feeling fabulous. The true Londoner always has that secret venue, or party invite up their sleeve. Be the one who does their research, follows the right Twitter accounts, and is Linked In with the party organisers. After all, a party might just be for one night, but a good set of connections can make that one fabulous evening last forever. 3. Be A VIP, darling! Exclusivity is the underpinning of our London party scene, with so many of the clubs and bars being members only and offering ticket-only nights. Many venues, such as the Riverside Rooms at County Hall, throw New Year’s Eve ticket-only parties. At this stunning location, the golden-ticket holders have a front row view of the fireworks, pipping the rest of London to the post. Make Champagne your tipple. You might have to drink water for the rest of the month, but that one night full of gold bubbles will be well worth it! Londoners love a pop-up. Tell us there is a warehouse serving afternoon tea in the middle of nowhere and we will be there. Dump a storage container on the side of the road and serve Mojitos from it, and it will be rammed. 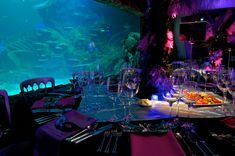 Pop-up restaurants are always a hit, and venues like Madame Tussauds offer special events such as the ‘Loved-up, pop-up’ on Valentines Day (details to be announced for 2017). Find an exclusive pop-up for New Year’s Eve and experience an event like no other. The successful party-er always has an entourage. Use online ticketing platforms or set up a Facebook event to round up the troops. However, if there are just two of you fear not… Londoners are a surprisingly friendly bunch on a night out. Make yourself a group of one-night-only best friends and gather your own unique New Year’s Eve crowd. Don’t risk the dreaded ‘fear of missing out’ by making sure you think about what you want from your evening and planning where you go accordingly. If you want to see the fireworks on New Year’s Eve, make sure you pick a location where you will be able to see them. The Riverside Rooms are the perfect location if you want to make sure you are at the centre of it all! If you want to bar hop, try Soho, and if you want to be in with the cool crowd, Shoreditch is your place. Where you situate yourself is extremely important on the night when transport is going to be tricky. But which area that might be is up to you … London is your oyster! Tickets to the best parties sell out like hot cakes, so you need to have your finger on the pulse. But when the night comes, the true Londoner makes it look like it just all fell into place. The secret is to do your groundwork weeks before and then act nonchalant when the evening comes. Because after all, you want to be far too busy having fun than worrying about where to go next! And don’t forget to plan how you are getting home, not that any of us ever do, and after all, where planning fails, Uber will rescue you. Whatever you have planned this New Year’s Eve, I hope yours goes off with a bang and is a night to remember!